Currently this program is not accepting applications as funding was not appropriated by the State of Minnesota in the most recent legislative session for this grant program. Other grant options may be available for your project. Please contact the Grants Office at 651-259-3497 or grants@mnhs.org to discuss options. MNHS will continue to request funding for this grant program. 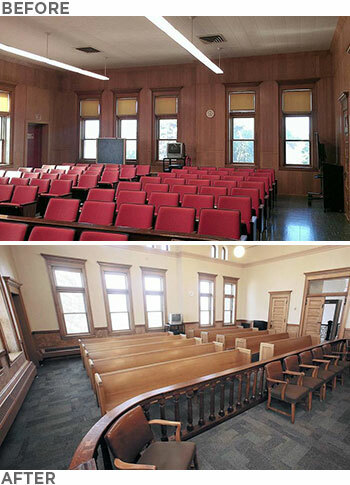 The State Capital Projects Grants-in-Aid Program supports historic preservation projects of publicly owned buildings. 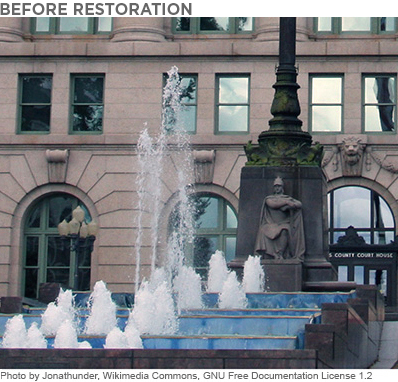 Purpose: To support historic preservation construction projects for publicly owned buildings. Availability of Funding: Dependent on legislative funding. There is typically one funding opportunity each fiscal year in the summer/fall. Grant Range: The minimum grant is $10,000. There currently is no request cap. The largest grant to date is $385,000. Match Requirement: Funds must be matched at least 1 to 1. Matching funds may be cash, in-kind and/or donated services or materials contributed to the project. State funds may not be used as a match. Eligible Applicants: Applicants are local or county governmental units eligible to receive state bond funds as defined in Minnesota Statutes 16A.695. State agencies or organizations primarily funded by the State of Minnesota are not eligible. Eligible Properties: The property for which funds are being requested must be publicly owned and must be listed in the National Register of Historic Places, or have been determined to be eligible for listing in the National Register by the State Historic Preservation Office. the work must meet the Secretary of the Interior’s Standards for the Treatment of Historic Properties. 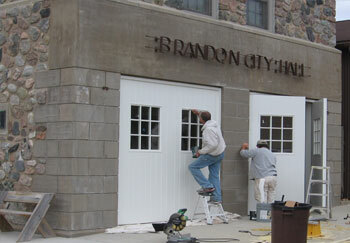 The Manual provides information about the State Capital Projects Grants-in-Aid program. Use the manual to help you prepare your grant application. The manual also summarizes the requirements for administering grant projects. All the application materials can be found on the Grants Portal. The portal provides access to everything you'll need in administering a grant from the Minnesota Historical Society, from the pre-application stage through reporting on the completion of a project. Here you will be able to track where an application is in the review process as well as have access to information about previous grants you have received. The portal allows you to save your work on an application and come back to finish it later. Previous grantees will already be in the system but will need to create an account to access it for the first time. Go to the Grants Portal and click on "Create an account now" Complete and submit the form. You will receive an e-mail message with a user name and password or a request for additional information to complete your request within two business days. Once you are registered, you will be able to log in and complete your application. The scope of work (PDF) is required with all applications. It is used to determine whether the proposed work meets the Secretary of the Interior’s Standards for the treatment of Historic Properties, a requirement of this grants program. Instructions for completing the Scope of Work are on page one of the form. The grants cycle is a competitive process. Factors considered in evaluating grant applications include the significance of the property or properties involved, their proposed use, and the quality of the proposed work. the quality and completeness of the application. The grant guidelines state that the work must meet the Secretary of the Interior's Standards for Historic Preservation? What are these? The Secretary of the Interior is responsible for establishing professional standards and providing advice on the preservation and protection of all cultural resources listed in or eligible for the National Register of Historic Places. The Standards are a set of nationally adopted, common sense historic preservation guidelines that advocate the preservation of a property's significance through the preservation of historic materials and features. They are intended to provide guidance to historic building owners and managers preservation consultants, architects, and contractors. The Cultural Resource Division of the National Park Service (NPS) maintains a website that describes the Standards in detail. How long does the grant review process take? Approximately 5 months from the pre-application deadline to the date applicants are notified of a grant award. The process is as follows: Eligible pre-applications are reviewed by Minnesota Historical Society staff. Constructive feedback will be provided to the applicant in order to improve the final application. Final applications, along with review comments, are then sent to the Grants Review Committee (GRC) for consideration at a public meeting approximately six weeks after the final application deadline. Based on their evaluation and the review criteria, the GRC recommends approval or denial of each application and forwards their recommendations to Minnesota Historical Society Executive Committee for final action. You will be notified of their decision in writing. What are our chances of receiving a full grant award of $250,000? It depends on the amount requested in a particular grant cycle and how much is available. Some years the program is more competitive than other years. The goal of the program is to fund as many worthy projects throughout the state as possible. The largest grant to date is $385,000. If our project is funded, when can we begin the project? The project cannot begin or project expenses incurred until all the required grant documents are signed and returned to the Grants Office. Generally, these documents are distributed to grant recipients soon after the award notification. Once these signed documents are returned to the Grants Office, they are signed by Society officials. Authorization to begin work and copies of the fully executed documents are returned to the grantee approximately two to three weeks after their return to the Grants Office. Are there any conditions that have to be met during the project? The project will be administered and conducted in accordance with Minn. Stat. 16B.98 for Grants Management and Minn. Stat. Chap. 177.41-44 regarding prevailing wage rates and contracts and corresponding Rules 5200.1000 to 5200.1120. All work on the project will conform to the Secretary of the Interior's Standards for the Treatment of Historic Properties. Pursuant to M.S. 16A.633, Subdivision 4, Jobs Reporting, the grantee is required to collect, track, and complies jobs created/retained data. The grantee agrees to comply with the following provision: American-Made Steel. Minnesota Laws 2014, Chapter 295, Section 21 (the "Act") requires public entities receiving an appropriation of public money for a project in that Act to ensure those facilities are built with American-made steel, to the extent practicable. The grantee agrees to hold harmless the Minnesota Historical Society and the State of Minnesota for any action, complaint, discriminatory proceedings, or litigation of any kind whatsoever, in conjunction with the funded project. The grantee further agrees to conform to the provisions of Minnesota Statutes, Section 181.59, which prohibits discrimination in hiring and/or contracting of labor by reason of race, creed, or color. The grantee agrees to sign a Letter of Agreement Governing Use of Historic Site assuming responsibility to maintain the historic property in a satisfactory manner for a specified number of years after the grant-funded project is completed. Grants up to $25,000 require a 5-year letter of agreement. Grants of $25,001 to $50,000 require a 10-year letter of agreement. Grants of $50,001 to $100,000 require a 15-year letter of agreement. Prevailing wage is the minimum hourly wage, plus benefits, required by law to be paid for each trade or occupation while performing work on state funded construction projects. All grant projects are required to adhere to Minnesota prevailing wage laws (Minn. Stat. Chap. 177.41-44 and corresponding Rules 5200.1000 to 5200.1120). To view prevailing wage information by county visit the Minnesota Department of Labor and Industry's Labor Standards - Prevailing wage commercial rates. Call 651-259-3497 or e-mail grants@mnhs.org if you have questions about the above grant programs or need assistance with your application.